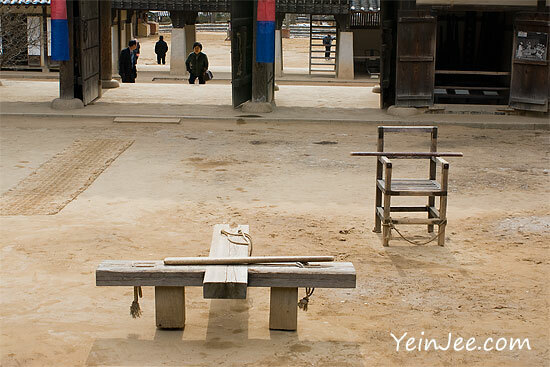 I am an avid watcher of Korean sageuk (historical Korean television series). They have something for everyone: romance, adventure, political intrigue, mystery. Little did I know that I was learning things along the way. Here are some of the things I’ve learned from watching sageuk! In order to tell big stories, you need big surroundings. Since many historical Kdramas revolve around the government’s struggles with people within the nation and forces outside of it, historical Kdramas give you a lot of opportunity to see what they are all fighting over: the land. Check out these examples from Warrior Baek Dong Soo. I don’t know if it is the way they shoot it (shout out to the directors! ), but these Kdramas are gorgeous. The forests are green and lush. The mountains are majestic and even the open fields are impressive. 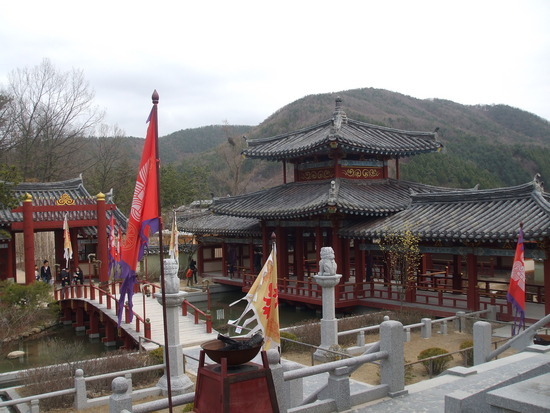 In addition to expansive landscapes, what would a sageuk be without a fabulous palace. These are impressive, beautiful structures that add atmosphere to all the royal goings-on. Look at the palace in Queen Seondeok! I learn that Korea has a variety of landscapes. From mountains to bamboo groves to seasides, there are lots of different sides to the natural side of Korea. Also, the palaces are intricate and demonstrate a high degree of artistic skill that also stands the test of time. Korea seems to have preserved these locations for the actual and virtual public. 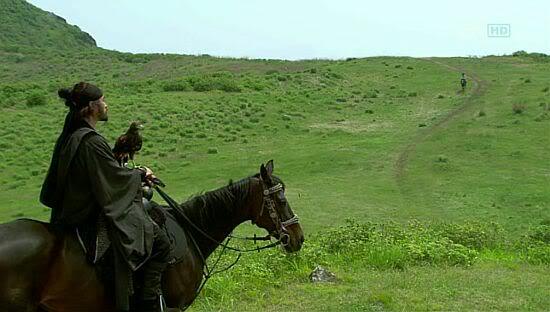 While contemporary Kdramas make you yearn to be in a bustling modern city like Seoul, living it up in a swanky contemporary condo, sageuk make me want to head to the country. History was never my favorite subject, especially the kind of history that was just about names and dates. 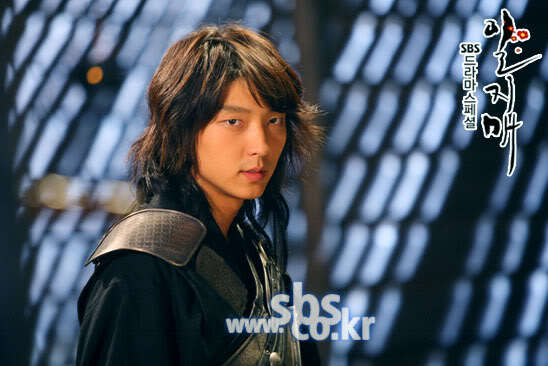 Sageuk make history exciting, even though the writers take license with that history. I’m not mad at that! They also tend to refer to other sageuk. During the course of The Duo, an unknown hero starts to eliminate rich noblemen, redistribute their wealth to the poor, and leave posters about his exploits. 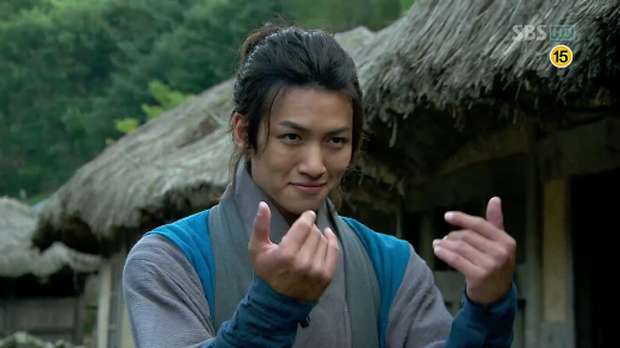 When the commoners talk excitedly about it, they actually say that he’s acting like Hong Gil Dong! One of things I learn is that in order to really get the full effect of these references, its best that you watch more sageuk! You never start at the beginning of a story with a sageuk. Things are always going on, so there is never really a beginning. It’s just the place where YOU come in. At the beginning, you rarely even get to see the main character(s) because, in all probability, he or she isn’t even born yet. What you start with is the parents and their generation. Serious things go on that will affect the main character later on, but you have to understand what happened before in order to understand what happens later. These events matter because they end up affecting the main character, even though he or she has nothing to do with it. Before Dong Soo is even born, he’s destined to die before his father is deemed a traitor. This has taught me to pay attention. These stories do not have beginnings and endings. You are always in the middle of someone’s story. In order to account for all the twists and turns, sageuk use a complex kind of storytelling. It makes sense, since they often cover years and years of activity involving multiple characters. I’ve learned to be a better listener of stories because all the details matter. Often times, sageuk revolve around royalty, and the person who is in control is the king. But what about the ladies? There women who influence the king, but I like it when they actually get involved. Mishil and her smile did more to change the course of events than the king ever did in Queen Seondeok. Technically, she’s the royal consort. But she knows everything that goes on in the palace, and she is always hatching plans to get more power for herself and the men she controls. Yes, controls. They are scared of her! Not only can she put her husband, her boyfriend, and her sons by both at a table, she also has the Hwarang at her disposal. Sometimes, it’s not even a king who is sitting on the throne. 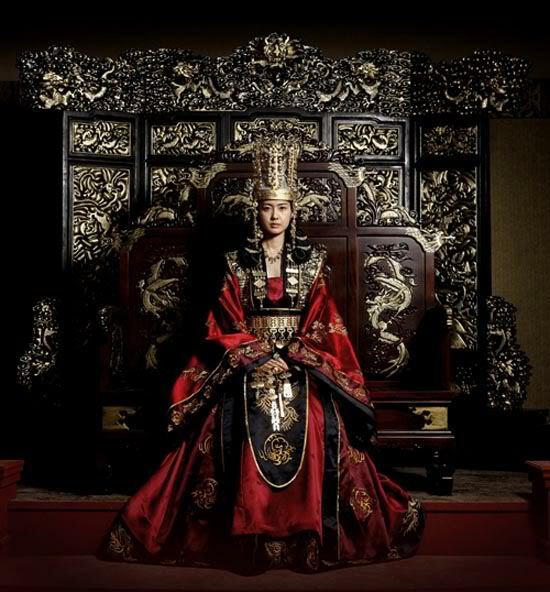 Empress Chun Chu tells the story of Korea’s third empress. I don’t know much about her, but seeing trailers like this makes me want to know about her. Who wouldn’t be down with an empress who isn’t afraid to pick up a bow and use it? 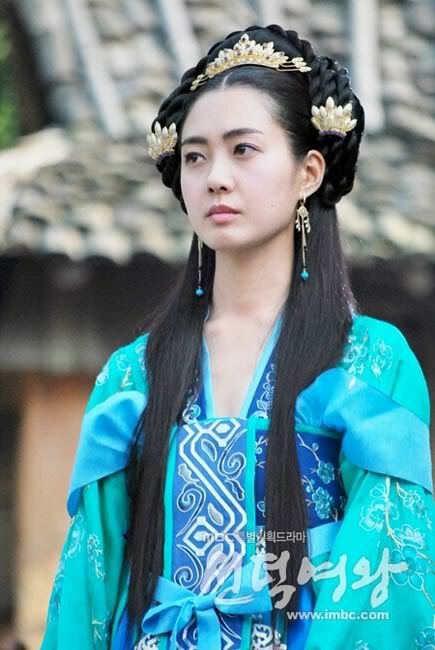 I learn that women play a huge role in sageuk. They are good and evil, which means that they are never boring. These women are not joking. Most sageuk features elaborate costumes for royalty and nobles alike. 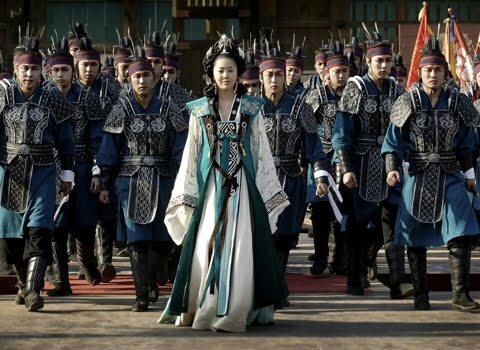 These outfits are complemented by elaborate hairstyles and nifty crowns, as you can see from Queen Seondeok. I learn that royalty seems partial to bling! Really, I did learn that you can tell what class a person belongs to based on the way they dress. Sageuk teaches me how significant class was in historical Korea. You weren’t going to advance from a lower class to a higher class, and unless you are careful, you could fall out of the noble class. Class determines how you relate to the rest of the world: who you can call by name, from whom you can ask a favor, who you can trust. You can tell all of this just by the clothes someone wears. If you are not a noble or a member of royalty, you are probably going to get the short end of the stick. Not only may you not have adequate food and shelter and have to deal with unsavory people like thieves, you have to put up with the arrogance and whims of the upper classes. This become real clear once nobles shatter Yong’s family in Iljimae. He goes from being a favored son and apple of his father’s eye, living a charmed life filled with art and good food, to barely being tolerated by the wife of a thief who takes him in after nobles….well, I don’t want to ruin it for you. Let’s just say that you wonder how much more this kid can take. Suffice to say, his life is rough as a commoner. But commoners are subject to other traumatic experiences all the time. They have to endure daily slights from the upper classes. They are also subject to unfair punishments at any time on devices such as these, like Chil Woo’s adoptive mother and grandmother in Strongest Chil Woo. What I learn is that there was very little justice for the common man (or woman). So, it’s important when legends like Hong Gil Dong emerge or potential rulers like the son of Crown Prince Sado (Warrior Baek Dong Soo) side with the masses. Power to the people! Let’s face it, being a noble or a member of royalty can be no better. One day you’re in, the next day you’re out. Literally. Political realities change and those who do not recognize this can be in real trouble. 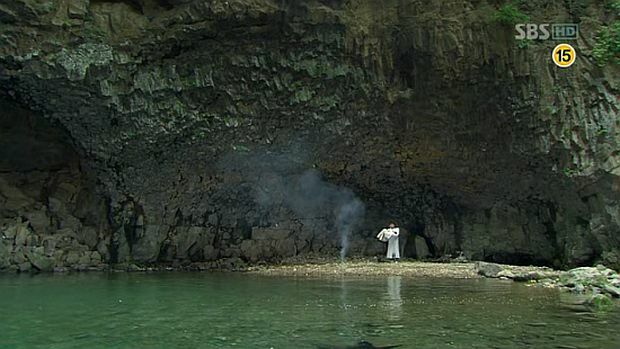 Some people realize they are villains and doing are doing bad things, so they aren’t surprised that they get their due in the end, like Minister Hong in Hong Gil Dong or Mi Saeng in Queen Seondeok. Others are just collateral damage, people who have no control over what happens to them. How many times have you seen someone’s whole family killed just based on the actions of one member? What I learn is that being in the upper classes had its own problems. You are subject to the whims of whoever is in power. You, and your whole family too. This is the number one thing that I learn from sageuk. On one hand, you often have to commit to 20, 30 and even 40+ episodes to see your story through. On the other hand, you have to get through what I like to call The Childhood Years. More often than not, you literally have to watch the main character grow up: from a baby to an adult. Big props to the younger versions of the main characters! Next Post Wu Xia (2011), or WOOHOO!